Calculators make math (especially on the SAT!) easier. Well, there is only one problem. Finding the calculator that will suit your needs without breaking the bank and that is allowed to be used on the test. The SAT is a tough exam, and the math section is definitely no slouch. 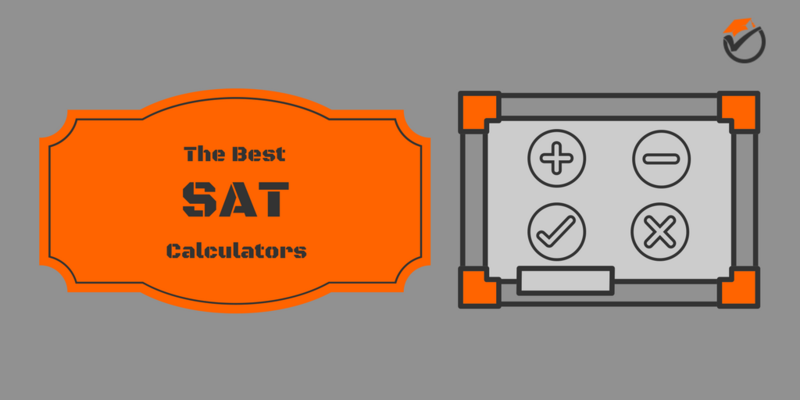 That is why I have created this post of the best calculators for the SAT. After spending countless hours researching these devices, here is our list of the top rated SAT approved calculators in 2017. Just to note, all of these graphing calculators are permitted for use on the SAT, but these 5 are not an exhaustive list of every device that is approved for the exam. The TI-Nspire CX CAS is, bar none, the best calculator allowed to be used on the SAT. This device is one of the newest on our list, which means that it gets all of the fancy features that have been released in the past few years. For starters, the TI-Nspire CX CAS has a rechargeable battery. No more worrying about having extra spare batteries at home or being screwed while taking a test. And this battery last a lot longer than 4 AAA batteries. This calculator also has a backlit color display and a thin design. The backlit display makes the screen easy to see during late night study sessions. Also, the thin design makes the calculator easy to fit in your pocket compared to some of the older calculators which are nearly an inch thick. The one feature that sets this calculator apart from the others is the CAS (Computer Algebraic System) functionality. This allows you to solve for X without having to simplify the equation with just X on one side. It will also simplify complex equations and solve limits for you automatically! Calculators without this CAS functionality cannot do this. It almost feels like cheating because it is so easy. This device also has plenty of RAM to fit all of your programs and spreadsheets that you can store inside of the memory. Texas Instrument calculators are very widely used across the world, so it is often the case that someone has made a program that makes a hard problem simple. On other calculators, you may run out of space to put these programs, but not on the TI-Nspire CX CAS. Although this device has many strengths, it also has one main flaw. The TI-Nspire CX CAS is not allowed to be used on the ACT. This calculator is so powerful that the makers of the ACT think that it will give an unfair advantage and have banned it. This all comes down to the great CAS functionality, which makes some math problems too easy for the ACT test makers’ liking. If you are planning to take both the ACT and the SAT, this calculator may not be for you. Because of its many strengths and very few flaws, we rank the TI-Nspire CX CAS as our top rated overall calculator for use on the SAT. The TI-89 Titanium is our second best overall graphing calculator for the SAT. This device is one of the older releases on our list, but when it was released it had many ground breaking features. One of these ground breaking features is CAS functionality. This is the same function that is on the TI-Nspire CAS which greatly simplifies the ability to solve numerous equations and limit functions. You can solve for X in an algebraic equation without having to simplify one side to equal only X. This will save you a lot of time on the exam! Since it was groundbreaking at the time, the TI-89 Titanium has many advanced functions and abilities that those released around the same time do not have. Easily solve limits, statistics, graphs and more. Another plus for this device compared to other calculators of its generation is that the function menus are much less convoluted. In other older calculators, you may need to memorize 4 or 5 key presses to get to certain advanced functions. With this calculator everything is laid out in a much more logical fashion. This really helps to save time on the SAT. Even though the TI-89 Titanium has many strong points, its age still brings some weaknesses. Just like the TI-Nspire CAS above, the CAS functionality inside of the device is so powerful that it is banned from the ACT. If you plan on taking both exams, this calculator may not be for you. Also because of its age, it lacks a lot of the fancy new features of the TI-Nspire class. This calculator does not have as clear or as large of a display as the TI-Nspire class. It also does not have a rechargeable battery as it require 4 AAA batteries to run. 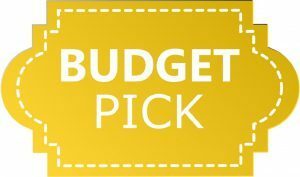 If you can live without the new fancy features and can pick up this calculator for a low price, it may be the right pick for you. We rank the TI-89 Titanium as our 2nd best over calculator for the SAT. The TI-Nspire CX is the 3rd calculator on our list of the top calculators for the SAT. Coming from the TI-Nspire class of calculators from Texas Instruments, the TI-Nspire CX has a lot of the fancy new features that set it apart from its counterparts. This device has a rechargeable battery, a backlit, color display, and a thin design. All of these features bring this design into the modern age. You no longer need to bring any spare batteries or only use your calculator in well-lit areas. The thin design allows it to be more mobile, making studying on the go much easier. Since this calculator has no CAS functionality, it can be used for both the ACT and the SAT (and along with most other standardized tests). It is the best calculator on our list that can be used with both. The main difference that sets this calculator back from the top pick on our list is the lack of CAS functionality. This functionality is so powerful that some standardized tests ban it. If you would like a device that can be used for all exams, then the TI-Nspire CX is the right pick for you. We rank the TI-Nspire CX as the 3rd best overall graphing calculator for the SAT. The TI-84 Plus is our best value pick on our list of the top rated calculators to use on the SAT. This device is probably the most popular graphing calculator used in the United States. There are tons of resources online on how to use each of the functions for every situation that you can encounter on the exam. This calculator is so common that it may even be taught during a college statistics or calculus class. Although not as powerful as many of devices on our list, the TI-84 Plus has many of the commonly used features as the others on our list. Many statistical, matrix and algebraic functions are the main ones that you will be using on the SAT and beyond. Since this calculator does not have the CAS functionality, it can be used on both the ACT and the SAT. This is obviously a great feature for someone that plans on taking both tests. Obviously, the one main drawback of this device is its lack of newer and more powerful functionality, like CAS. This newer functionality can save you time on the exam, but the problems can usually be solved, but in a slower way on the TI-84 Plus. The TI-84 Plus is also known for having convoluted and deep menus. It can be sometimes frustrating during an exam when you are trying to find a function deep in the menus, but cannot remember exactly where it is. This can cause a big time crunch during exams. If you are looking for a calculator that has most of the major functionality that you need for a low price, the TI-84 plus is for you. 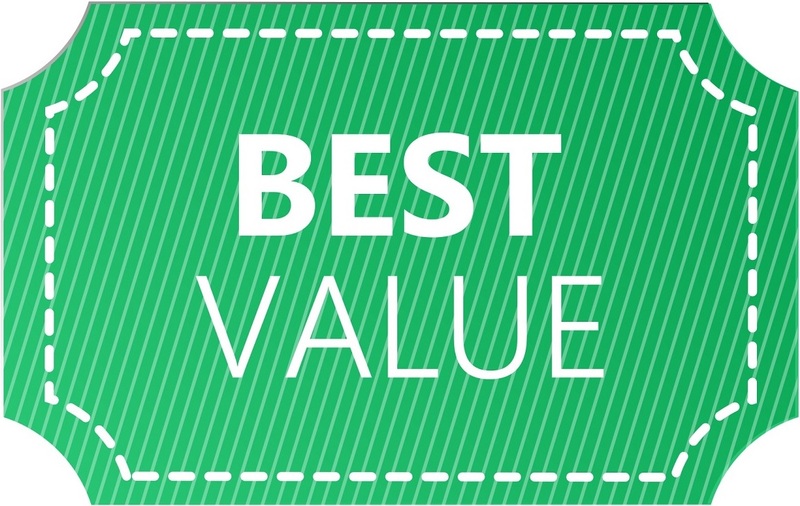 We rate the TI-84 Plus as our 4th best overall and best value calculator for the SAT. The TI-73 Explorer is our 5th best overall and budget calculator for the SAT. Since the TI-73 Explorer is the oldest device on our list (over 15 years old) is lacks a lot of the new technologies that are included with newer calculators. This calculator still has a lot of the basic functionality that you expect to find in most modern graphing calculators. It is about as lean as you can get without stripping it of major features. Because of its basic functionality, the TI-73 Explorer can be used on any test where graphing calculators are allowed, including both the ACT and the SAT. This is a great perk to have since you will not need to buy multiple calculators for the different exams. 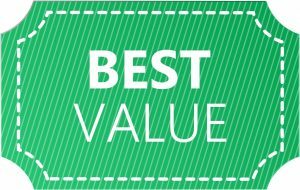 Obviously because of its basic functionality, this calculator is the cheapest on our list. If you are looking for the basics of a graphing calculator and nothing more, this should be your top choice. It comes with no surprise that the main flaw of the TI-73 Explorer is its basic functionality. Since it does not have a CAS, it is not nearly as powerful as the top 2 picks on our list. But if you are not looking for that functionality, then this should not be an issue. The TI-73 Explorer has a lot less RAM and CPU power than the TI-84 Plus. This may cause the calculations, especially graphing, to be much slower. This can sometimes be frustrating on the exam when you need all of the time you can have. The lower RAM also makes it sometimes difficult to install a lot of programs. A lot of 3rd party programs are useful to solve problems more efficiently. If you are looking for a graphing calculator with basic functionality that won’t break the bank, the TI-73 Explorer is for you. 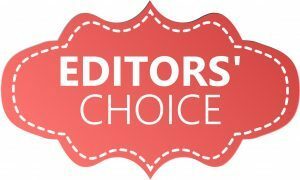 We rank the TI-73 Explorer as our 5th best and budget pick on our list of the best calculators for the SAT. Buy the TI-Nspire CX CAS if you are looking for the best overall calculator that is allowed on the SAT. If you would like the best calculator that can be used on both the SAT and ACT, then pick up the TI-Nspire CX. If you are looking for the best value device (that is accepted on both the SAT and ACT) then purchase the TI-84 Plus.